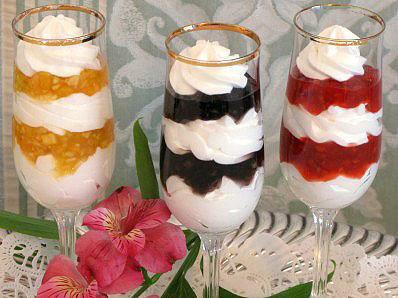 Our Assorted Fruit Topping mixes are a healthy and creative way to add something extra sweet to your desserts. Easy to make—just add water. 4 Flavor Assortment includes: 6 packs Cherry, 6 packs Apple Cinnamon. Dried Apples (contains Fresh Apples, Calcium Stearate [prevents caking], Citric Acid, Sodium Sulfite), Maltodextrin, Modified Starch, Cinnamon, Sucralose.